At King Wealth Planning, we believe in teamwork. You’ll see it in action when you partner with us. Following is a brief background on each of our team members. You’ll find us all to be dedicated, experienced, personable professionals with a singular focus — making it easier for you to enjoy your life! Paul is a CERTIFIED FINANCIAL PLANNER™ and a Registered Principal with LPL Financial, one of the leading financial services companies and the largest independent broker/dealer in the nation*. As President and Private Wealth Advisor for KWP since 1988, Paul’s main goal is to help people realize a higher quality of life through better financial awareness and decision making. Paul has been recognized with the Chairman’s Club Award from LPL Financial for his annual production.The award is given to fewer than six percent of LPL’s approximately 13,500 advisors nationwide. Paul’s first career was as a Senior Engineer in the computer field for Hewlett-Packard Research Laboratories and Digital EquipmentCorporation. He holds a B.S. degree in Materials Science and Engineering with a minor in Economics. A long-time entrepreneur, some of Paul’s ventures include: String King tennis racket restringing service while in college; California Gift Baskets; Financial Educators Group to teach financial planning workshops; and KnightsBridge Castle to combat identity theft. Paul has been a featured lecturer and instructor at Fortune 500 companies, The Union of American Physicians and Dentists, Good Samaritan Health Systems, and Bay Area colleges. He is the author of the “Financial Planning for Career Transitions” course and “The Identity Theft Resource Kit”. He regularly speaks on such topics as Modern Portfolio Principles, Strategies for Successful Retirement, and Asset Protection Techniques. He has also served as the past President of the Silicon Valley Chapter of the International Association for Financial Planning where he launched the annual “Personal Finance Fair” community education event. *As reported by Financial Planning magazine, June 1996-2011, based on total revenue. "I like to keep a balanced perspective on life. When I am not working, there are plenty of outside activities that keep me energized. I like wilderness and adventure which, I capture through photography and explore through hiking long distance running, triathlons and other outdoor sports. I also try to make the world better through volunteer work that I do for organizations like Rotary Club, Men’s Division International, Rebuilding Together, Train 4 Autism, and Habitat for Humanity." Sigi is a CERTIFIED FINANCIAL PLANNER™ practitioner and a Registered Representative with LPL Financial, one of the leading financial services companies and the largest independent broker/dealer in the nation*. Her specialty at King Wealth Planning is helping to guide our clients through the maze of financial planning and investment choices they have to make. Sigi has nearly 25 years of financial services experience having previously worked with two other wealth management firms and as an Assistant Vice President in Bank in America’s Private Banking Group. She holds a BA from San Francisco State University and an MA from California State University Long Beach. She received her Certified Financial Planner™ certification in 2004. 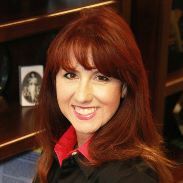 Sigi has served on the Board of the Financial Planning Association and the Junior League of San Jose. "I have a wealth of things to keep me busy outside of work. I snow ski and play tennis, and like to stay fit so I can enjoy these sports. My new favorite way of doing so is with yoga. I love spending time with my family and both my husband and I have a large extended family in the Bay Area. I’m also in a book club and volunteer with the Junior League of San Jose." Shannon serves as our Managing Director, she handles HR, Treasury, Administration, Corporate Activities and Communications. Shannon has a strong background in Business Administration, including HR, Organizational Management, Project Management, Marketing, Graphic Design and Web Design. She brings a fresh perspective, upbeat personality, and a unique business skill set to the team. She is a full-time wife, mother and employee. Her children are her heart: Maycee (22), Christopher (19) and Tivoli (11). She has a BS in Business Administration from San Jose State and a certificate in HR Management from the University of Phoenix. She recently earned her Master's in Ethical Leadership from Claremont Lincoln University, and is working toward her SHRM-SCP credential in Human Resources. She is very active in the community and has organized outreaches to help those less fortunate. Shannon has partnered with local public schools to improve their technology education programs and before coming to King Wealth Planning, was very involved in a local nonprofit that worked to serve the needs of the local community. Shannon partners with the Campbell Chamber of Commerce to enrich Campbell with community events and educational opportunities. Drew is working towards his CERTIFIED FINANCIAL PLANNER™ license and is a Registered Representative with LPL Financial, one of the leading financial services companies and the largest independent broker/dealer in the nation*. He assists Paul and Sigi in helping people realize a higher quality of life through better financial awareness and decision making. Drew grew up in Morgan Hill and graduated in 2006 from San Jose State University with a BS in Business Management. He brings over 15 years of customer service experience to our firm. He is an integral part of our team as he manages clients throughout the application processes, is there to answer questions, and complete account service requests. Drew’s personal interests are playing and watching sports, bicycling, camping, and enjoying time with his new bride, Katie, and his friends. Flor has extensive experience in financial client services; she has over 20 years with Wayne Williams at WA Insurance Services and she also has been an Operations Officer at Liberty Bank in Boulder Creek. Flor immigrated to the United States in 1976 from the Philippines. Flor lives in Scotts Valley with her husband, Leonard. "Love your family. Spend time and be kind to one another. Leave no room for regrets. Tomorrow is not promised and today is short." Monica graduated from San Jose State University with a BS in Business Administration and has many years of experience as an Administrative Assistant /Marketing Coordinator. Monica has worked for many Silicon Valley companies, some you may recognize are: Cirimelli, Pyle & Associates, Cisco Systems, and National Semiconductor. Monica volunteers at her daughters’ school and their family church. On the weekends, she is often found cheering-on her daughters at the soccer field. Monica enjoys taking vacations with her family and relaxing at the beach. I am pleased to introduce Daniel Lillibridge as an addition to our Client Services Team. Dan will be working with Flor Parisi, Client Services Manager, to provide you answers on account activity, policies and statements, as well as assist with any move money requests, beneficiary changes, and any help needed with the Account View tool. Daniel Lillibridge is a Virtual Administrative Assistant at LPL Financial. Daniel has worked in the financial industry for over three years. Prior to joining LPL, he worked on the Business Transition team at TD Ameritrade as a senior relationship manager. There he served as the main point of contact for multiple high-net-worth advisor firms, ensuring a smooth transition of their business. He also helped create and support many initiatives to improve efficiencies and was involved in the creation of new advisor training programs. He currently holds Series 7 and Series 63 licenses. Daniel is newly married and currently resides with his wife in Oceanside, California. He enjoys an active lifestyle, playing sports, and traveling.